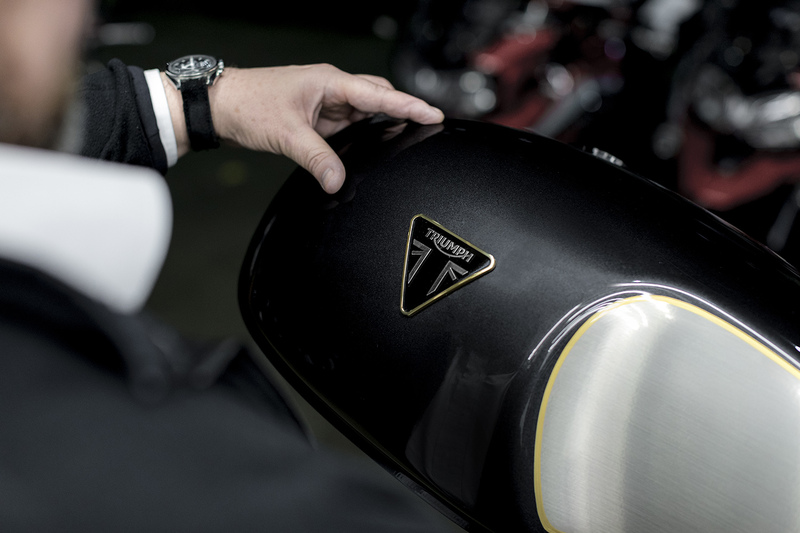 Over the past decade, Triumph has grown from a humble British motorcycle manufacturer to a genuine industry giant that produces in the range of 65,000 motorcycles per year, and it’s partly thanks to its impressive collection of retro-inspired motorcycles. 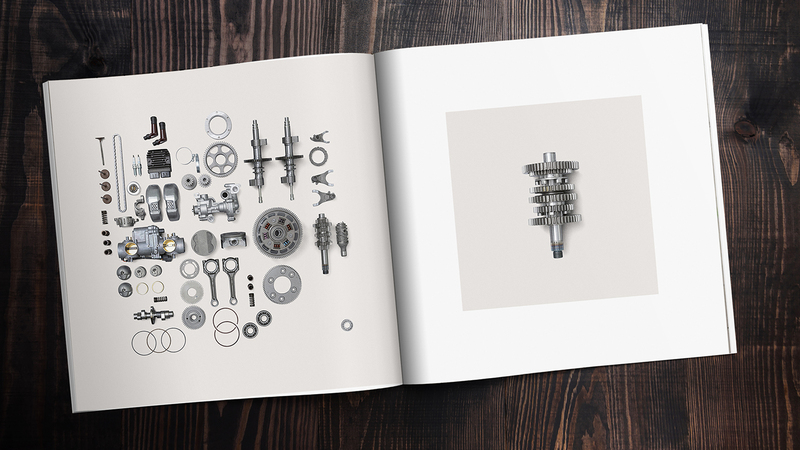 From the Bonneville to the Scrambler and the Street Twin to the Speedmaster, there’s something for everyone in Triumph’s altogether impressive modern-classic repertoire. 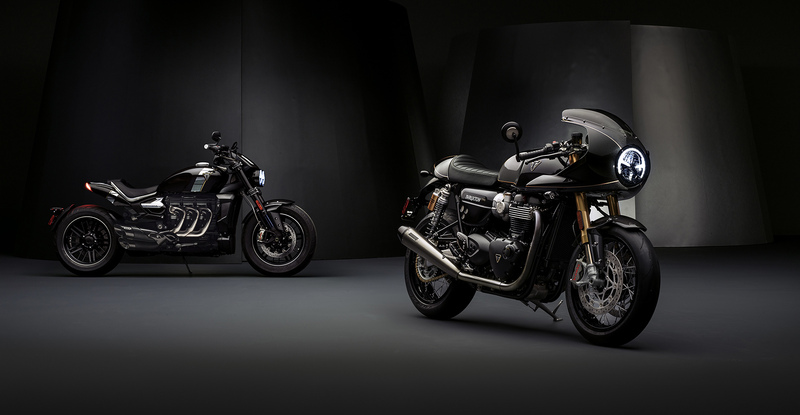 And now there’s an iteration for those searching for something a little more exclusive; the limited-edition Triumph Factory Custom (TFC) range. Two models will be included in the TFC range, the Thruxton TFC and the Concept Rocket TFC. 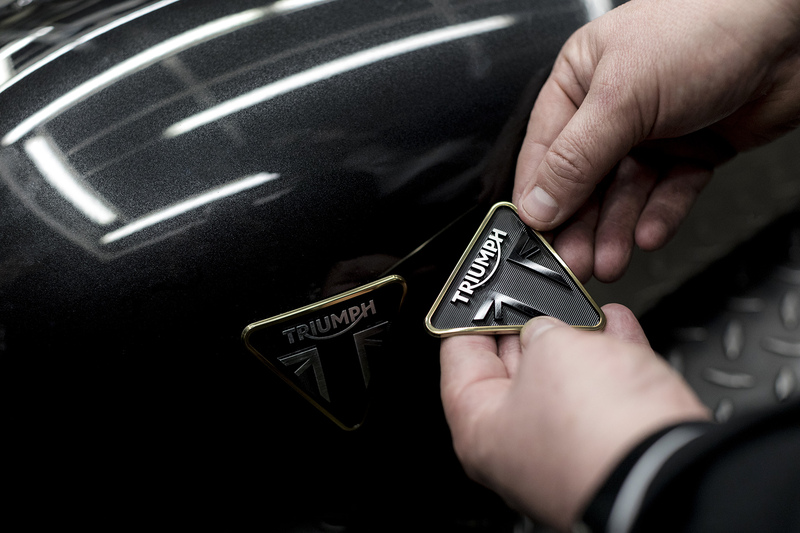 Reacting to the ever-growing custom motorcycle scene here in the UK, and off the back of its successful in-house Factory Custom challenge in 2014, Triumph’s new models will be fully bespoke customs limited to just 750 per model. 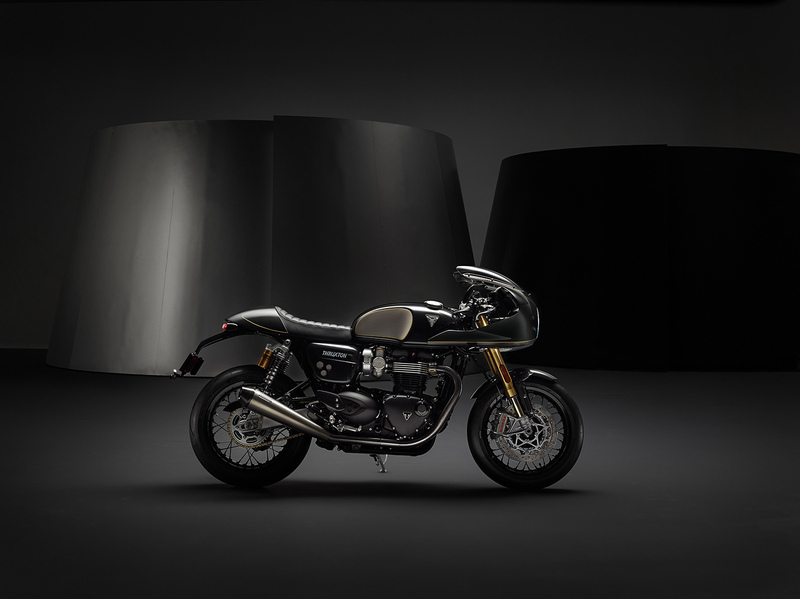 Though the official launch of the Thruxton TFC is not until May, we’ve been given a sneak preview of what to expect; carbon fibre bodywork, high-performance Öhlins RSU suspension system, a tuned version of the 1200cc parallel-twin engine found in the Thurxton R, which puts out 107PS (105.5 bhp) and 115Nm of torque, making it the most powerful modern-classic the marque has ever made, and a custom Vance and Hines exhaust system with a note that is bound to be delicious. The Concept Rocket TFC takes things one step further. The original Rocket III made history by featuring a 2.3l engine that produced 145bhp, which is quite something for a cruiser. And now they’re putting the TFC name on it, meaning it will hold onto the title of ‘World’s Biggest Production Engine’. 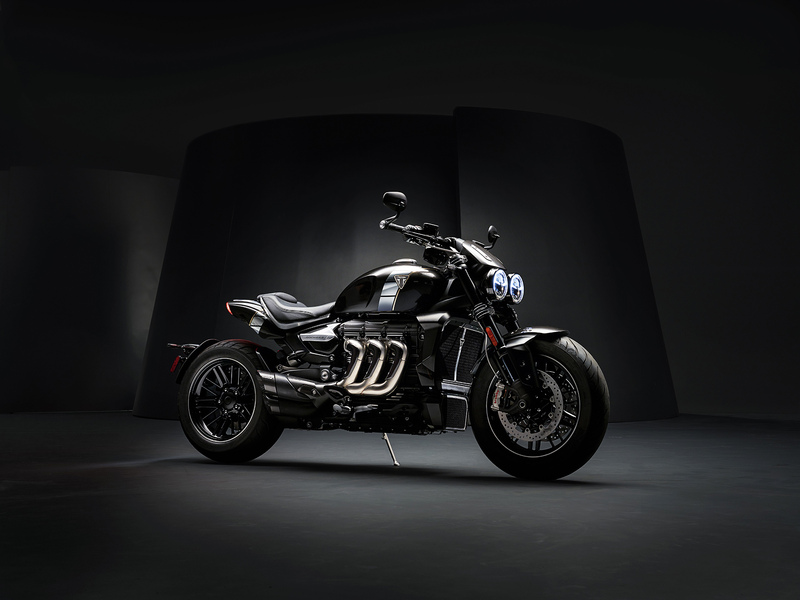 Though the Concept Rocket TFC still remains a secret, rumours suggest that it will put out up to 180bhp, scaring off even the mighty Ducati Diavel. And now to the price. 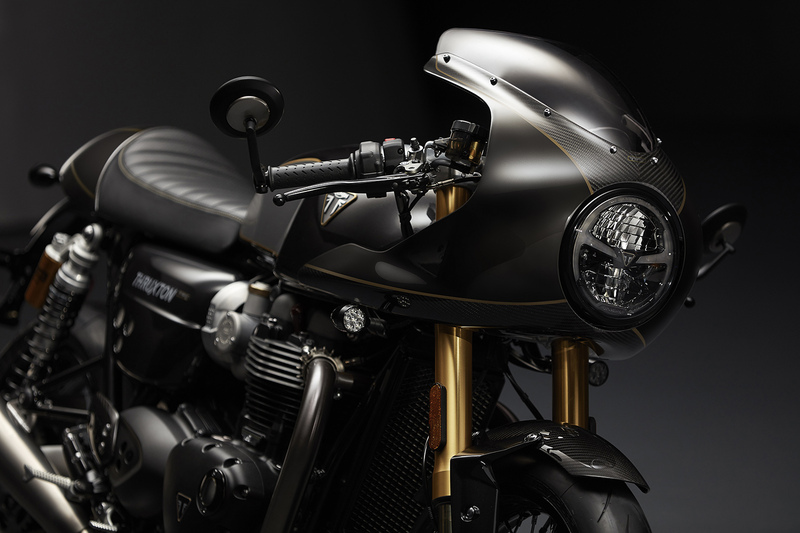 The Thruxton TFC will come in at £17,500, which is £5,100 more than the current range-topping Thruxton R. While the Concept Rocket TFC is still a mystery, one can expect it to be similarly priced as the Thruxton TFC. 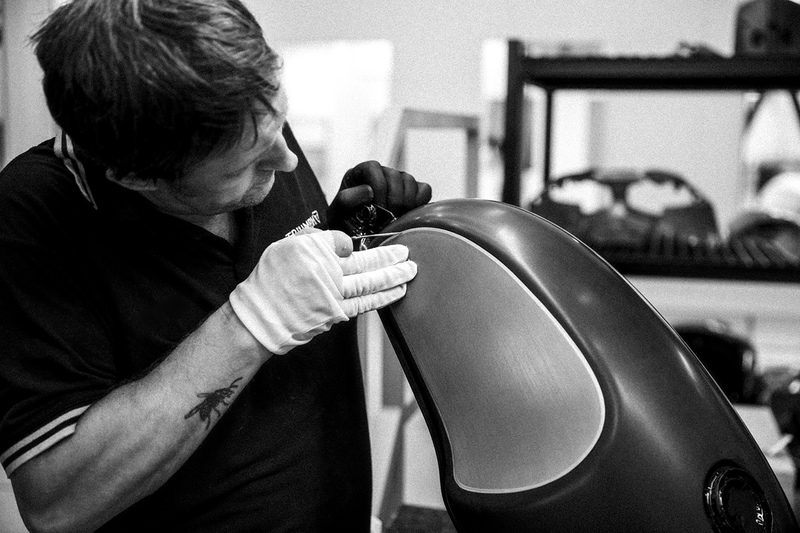 With the first tests scheduled for early spring, we’ll have to wait and see how the new Triumph Factory Customs perform, but if they’re nearly as good as they look, we’re all in for a treat.